Built for Genesis Framework – World’s most popular WordPress Theme Framework,You can take advantage of Genesis SEO features and massive support. 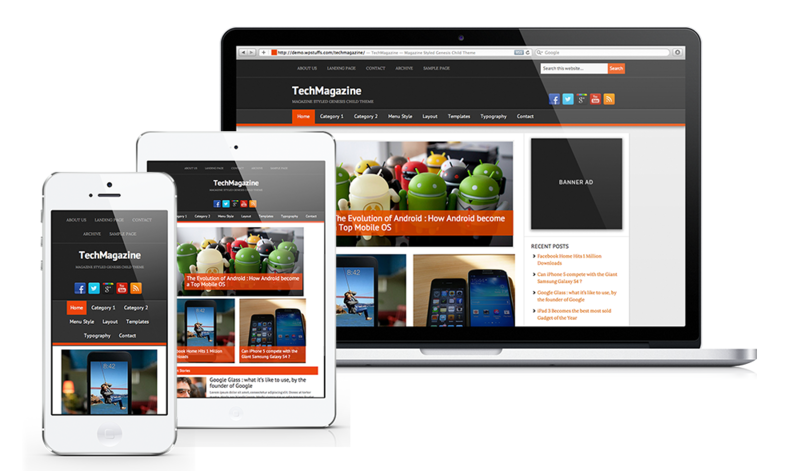 TechMagazine is a fully mobile responsive theme.So, you dont need any special plugin or separate website for mobile readers. 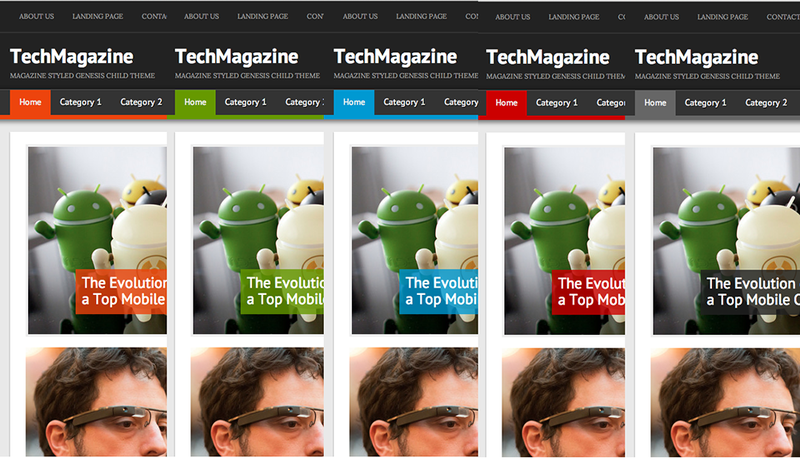 Your website layout will automatically adapted according to the readers screen size. Now whenever user scrolls below Main menu a Fixed menu will popout from top of the page.This will be useful for readers to easily navigate through your website.You can also use custom logo to enhance your brand. 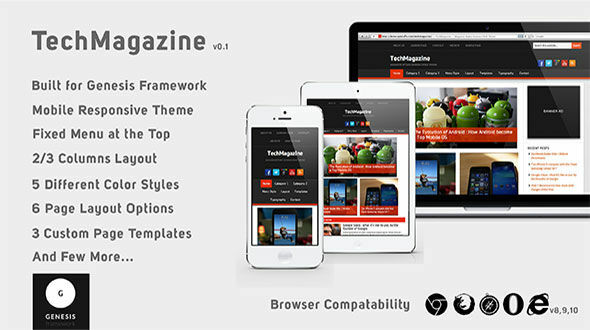 TechMagazine comes with 12 different widget areas in which Four areas are used to style front page,Three Footer widgets and Widget areas above and below Post will be useful to display Ad banners,Newsletter form etc. Will this theme be released for Genesis 2 ? Will this theme be updated regularly ? Should I need to Purchase Genesis Framework ? 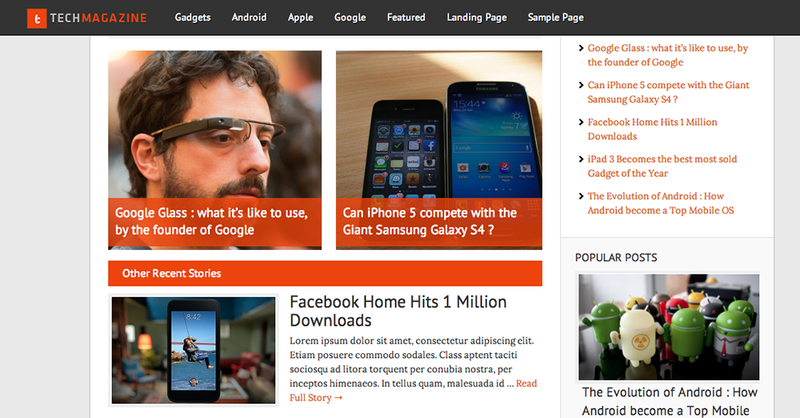 Is this Mobile Responsive Theme ? Yes,Definitely this theme will be released for Genesis Framework 2 and users who purchased can get this update without any cost. Yes,As far as I am getting bugs and feedbacks to improve it.